Mind Institute’s interdisciplinary Early Intervention Program (EIP) provides early identification, evaluation and intervention for children up to the age of 6 years old facing mild to moderate challenges. 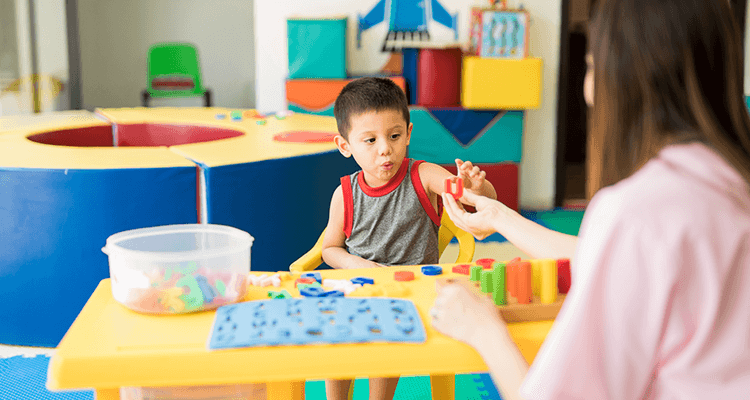 Our team includes a Pediatric Speech Therapist, Pediatric Occupational Therapist, Pediatric Psychologist, Behavior Therapist, Play Therapist, Dance Therapist and Early Childhood Education specialists who combine play-based approaches with proven behavioral methods in a mixture of structured and semi-structured activities. Your child will receive a customized, comprehensive and coordinated program, tailored to his/her needs to ensure that their social, communication and language, cognitive, self-help and fine/ gross motor developmental milestones are attained and achieved. Our program includes professionals who oversee your child’s progress, modify the program as necessary and respect the parents’ role. Early Years Foundation Stage (EYFS) is a U.K. curriculum tailored for both mainstream and special needs education that sets meticulous standards for the learning, development and care of your child from birth to 5 years old. Mind Institute’s daily program provides identification, evaluation and intervention for children facing moderate to severe physical, social and mental challenges.Daily ..